I like to have a vegetarian option available at every party I host, but I also want the vegetarian option to be appealing to all of the guests, and one that is both delicious and healthy. 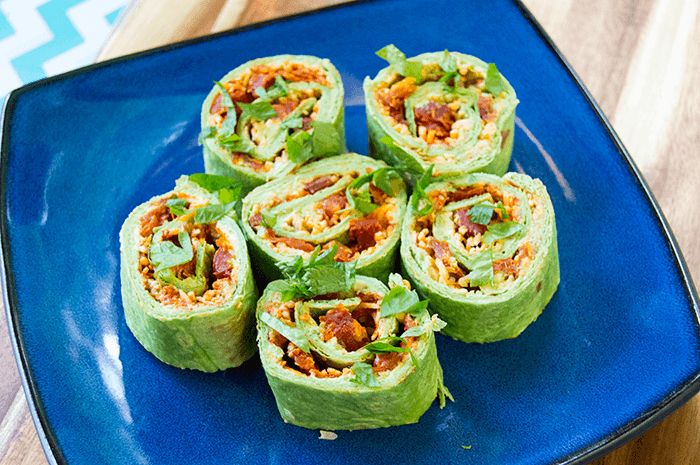 That's where these easy avocado roll ups come in handy - they can appeal to just about everyone. I filled my roll ups with sundried tomato and a simple avocado sour cream, then added zestiness with lemons and Hungarian paprika. 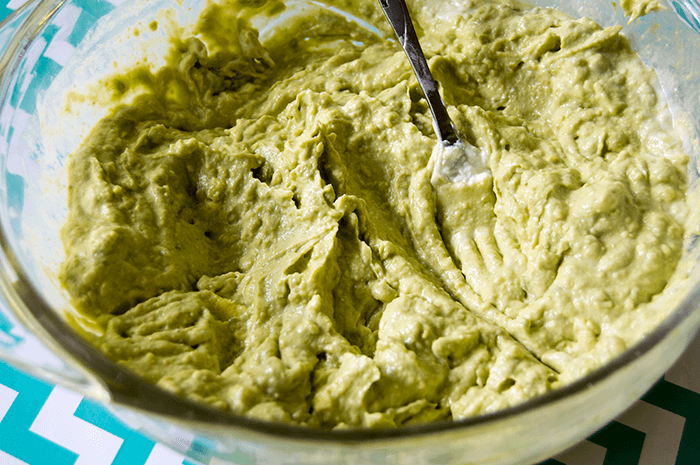 Begin by mashing together the avocado and yogurt until smooth. Once smooth, stir in the lemon juice. It's important to add the lemon juice after the avocado and yogurt have been combined, that way the lemon doesn't curdle the dairy in the yogurt, but also the acid in the lemon will keep the avocado green. 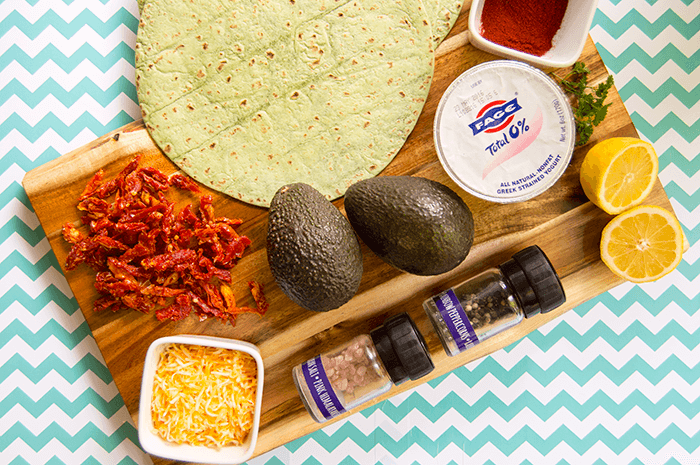 Spread the avocado across the tortillas in an even layer, then add the spices, cheese, and sundried tomato. 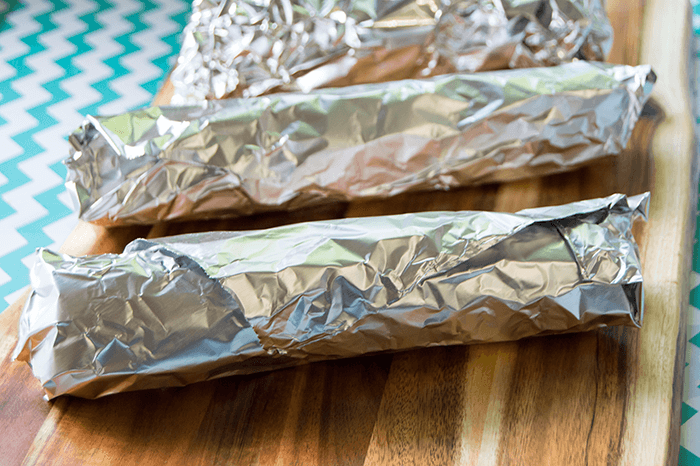 Roll the tortillas tightly and wrap in foil. Chill the rolls until ready to serve or until the rolls have firmed up. 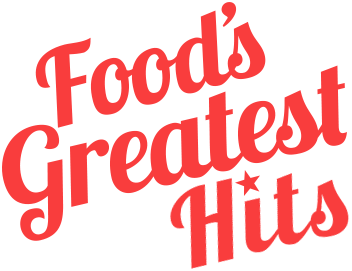 You can definitely serve the rolls right away, but chilling for even an hour will allow the flavors to fully develop! Cut the rolls into one inch pieces. 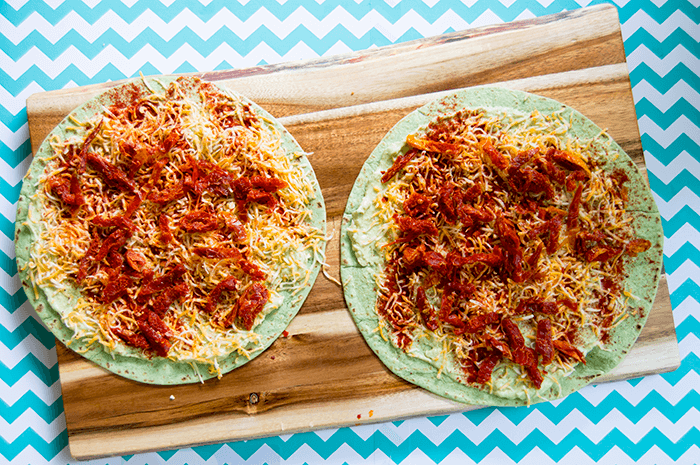 Each tortilla makes about eight individual rolls, so it's pretty easy to double or triple this recipe for your own event! It's best to make these rolls the day-of serving, since they avocado will eventually start to brown - the rolls will still taste delicious, but won't be as pretty to look at! I garnished mine with an extra sprinkle of cayenne pepper and fresh cilantro. 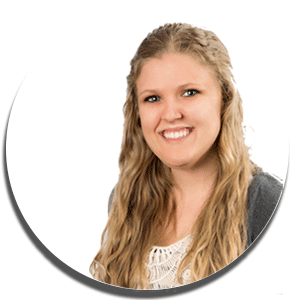 Remove the avocado from the skin and pit. 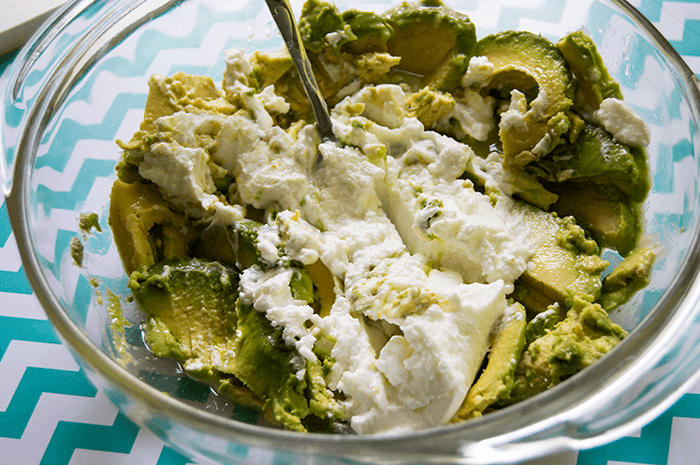 In a small bowl, mash together the avocados and Greek yogurt until smooth. Season with salt and pepper, then stir in the lemon juice. Cut the wraps into one inch pieces. Sprinkle the pieces with a dash of cayenne pepper and the remaining cilantro. Serve immediately and enjoy!